Discover Tennis Nation Racquet Sports in Reno, Nevada, that brings the best tennis instruction, gets you geared up and matches you up with other tennis players. Tennis Nation Racquet Sports, the number one tennis team offers programs designed to get you playing your best tennis. 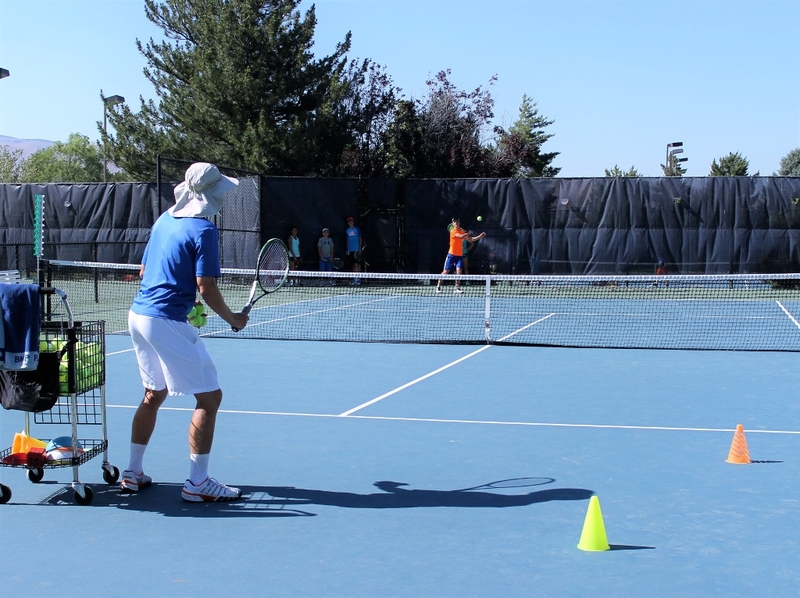 Tennis Nation Racquet Sports delivers candid tennis instruction designed to improve your tennis game under the supervision of the most qualified tennis instructors Reno has to offer. What does Tennis Nation Racquet Sports offer? Reno Tennis Nation Racquet Sports provides a results driven and energetic tennis program that includes motivation, personalized tennis instruction and candid guidance; all designed to get you playing the tennis you want in a safe, fun and non-intimidating atmosphere. Every tennis session is led by an experienced, Tennis Nation Racquet Sports professional and is designed to be fun, supportive and challenging. Personalization is key to getting the best possible results, which is why our tennis programs are modified to fit your goals and individual tennis level. Take a one-on-one tennis lesson with a tennis professional, or join our programs that are done in a group setting which makes them fun, motivating, challenging AND it keeps the cost of the program affordable compared to private one-on-one tennis lessons. Try our Group Tennis Program! Get 1 Free Day!